to help Operation Smile Philippines in mapping patients with cleft deformities (bingot/ngongo) throughout the country. 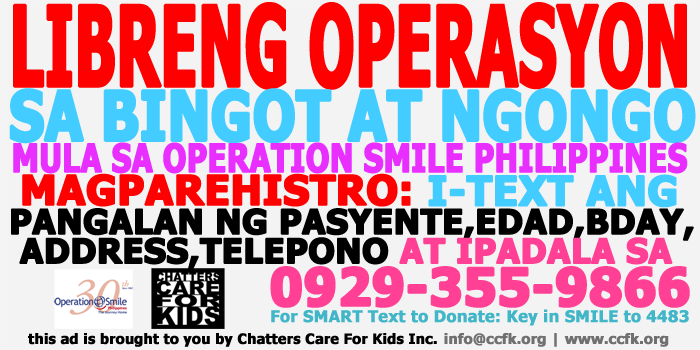 In celebration of its 30th anniversary, Operation Smile Philippines will be conducting simultaneous medical missions in November and December in various parts of the country, including Manila. Free reconstructive surgery will be done by local and international medical volunteers to patients with cleft deformities.